Circumstance is a small town full of big secrets. Victor Days tries to avoid drama—he tries to avoid just about everything lately—but today, he’s about to become the talk of the town when his life is hit by a preposterous series of escalating disasters. And it all started with that damn bagel. Victor needs to find the ambition to fight back against a corrupt cop who wants him dead, a town full of people hungry to be entertained by a spectacle, and an electronics tycoon who wants Victor’s death caught on camera. 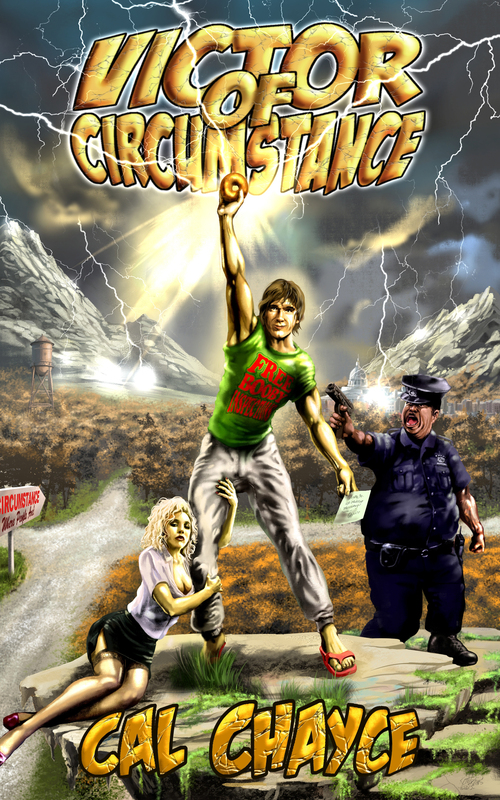 A madcap comic adventure with emotional punch, combined with poignant social commentary, Victor of Circumstance shows how a change of perspective could make the difference between living the good life and going down in a hail of bullets.